Have no idea, we'll know soon. @Vitaliy If it is clean this could be a better solution than the GH2 to people with external recorders, and some, like the Ninja, can remove pulldown, so interlaced might not be a big deal. Red only? I refuse to buy it till they come up with Hello Kitty Edition. will the Active D-Lighting work for video for an improvement in dynamic range? I've read that video is similar to D800, same processing behind. Waking this up a little. I purchased the D3200 out of curiosity. Must say it has been a positive surprise. Moire and aliasing are there - but less than any Sony DSLR I've had. Below is just a rough test of a shot I tested to see how it performed regarding DR and sharpness as referenced against a hacked GH2. One thing is good with the Nikon also is that you can dial in a pretty flat image and thereby make use of alot of the 13+ stops DR.
You can just download NTool, open firmware and read tips. Would like to know if can be a good cheap solution for video, and what are the real differences with the d5200 (i'm reading about 60i in fullhd mode, and iso up to 25600 in the D5200). Would someone kindly post D3200_0103.bin - this is the last V1.03 firmware that can be patched by the Nikon hacks for higher bitrate. 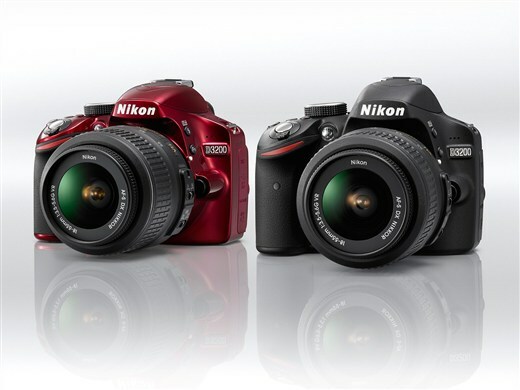 It has been pulled from Nikons website and I cannot find an archive. @lpowell ? Sorry, I don't have any of the D3X00 firmware versions. I'd suggest contacting the folks at Nikon Hacker. I'd suggest contacting the folks at Nikon Hacker. As far as I see their domain expired in December, site is off. Got it here..Was desperate so tried the exe file with my antivirus on a useless windows box. Its legit. Started using 54mbps - found out that there is lots of chroma noise and pulsing at ISO 1600 and up. ATM I am trying a combo of channel mixer and neat video to cleanup. @lpowell is there a magic recipe for reduced noise and less pulsing ? If D3200 sensor is similar to D5200, I'd bring up the pedestal a bit before lowering shadow gamma to crush the blacks. You need to watch out for pure black banding when you do this. After shadows look smooth, reduce shadow color saturation until just before it starts to look monochrome. Shadow saturation varies quite a bit between Nikon models, so examine carefully. Neat Video is off course top notch - don't be afraid to sharpen, but luma only, never sharpen chroma.